T-Mobile CEO John Legere continues to be the Pied Piper of wireless. The un-carrier added 2.3 million net new customers during the third quarter, and in the process it turned last year's third quarter net loss of $94 million into a net profit of $138 million, or 15 cents a share. Revenue rose 7% to hit $7.8 billion. The quarter was the 10th consecutive one for the carrier, with at least 1 million in net new additions. T-Mobile continues to outpace its rivals in adding new customers. For the seventh straight quarter, T-Mobile will end up leading the industry in branded postpaid phone net new additions. For the last quarter, that figure amounted to 843,000 new subscribers. Churn for that category dropped 18 basis points from last year, and the average revenue for those customers was $47.99 during the quarter. On a sequential basis, T-Mobile tripled its number of prepaid net new additions to 595,000. According to the carrier's earnings report, T-Mobile has already reached its year end goal of covering 300 million people in the U.S. with its 4G LTE pipeline. 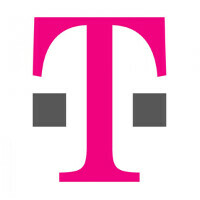 245 markets are now covered with T-Mobile's Wideband LTE service, with a target of 260 markets in place for year end. And the operator's low frequency "Extended Range" LTE can now be found in 204 markets, covering 175 million POPs. By the end of the year, T-Mobile expects to have this signal in 350 markets. Looking ahead, the company raised its expectations for the third time this year and now expects that for all of 2015, it will have added 3.8 million to 4.2 million postpaid net new customers. Good work T-Mo, continue to power on through 2015 and beyond. Had their service a couple years back, it was pretty bad(between Fresno and Bakersfield) I wonder if it's improved at all around here. Keep it T-mobile. You guys make At&T and other competitors improve as well. Good competition! 2.3 Million suffering from Identity Theft..
As a T-Mo customer in rural Indiana, I'm happy to pay half of my old verizon bill and have unlimited data and a faster connection than my home internet. I don't always have data when I'm completely out in the boonies, but checking Facebook while fishing in a river isn't what I'm into, it would be making a call or text if an accident were to happen. How would I go through 10-20GB of Netflix if my coverage is poor? I was one of them. Actually I'm 4 of them because I moved 4 lines which was my family. But I pay the bill so all 4 of them are me. Goodbye Verizon!!! 2 more lines to go....As soon as T-Mobile gets the G2 w/3G I'm moving that line over too. Then all will be left is my tablet. as soon as it sells - GOODBYE permanently.